but you can always tell a person by his books. 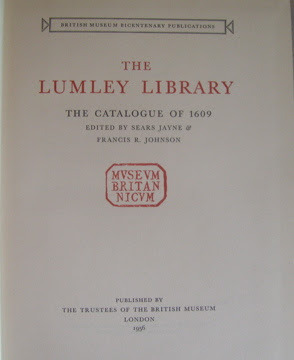 Could I have been a librarian in a previous life? That would explain why I have so many books about libraries. 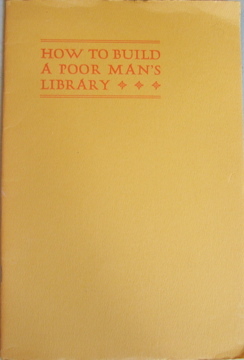 I have books about poor men's libraries, old libraries, great libraries, proprietary (subscription) libraries, public libraries, research libraries, institutional libraries, and private libraries. 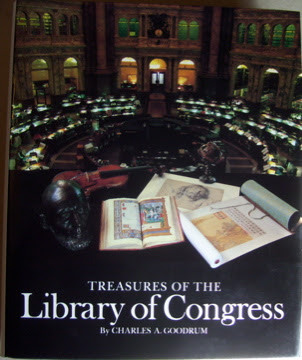 And I also have a shelf of books about the Library of Congress. 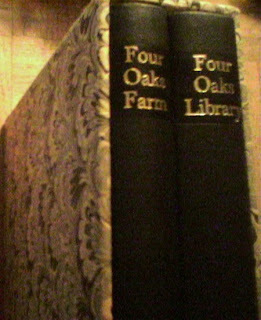 I will display the front covers of some of my books about libraries. 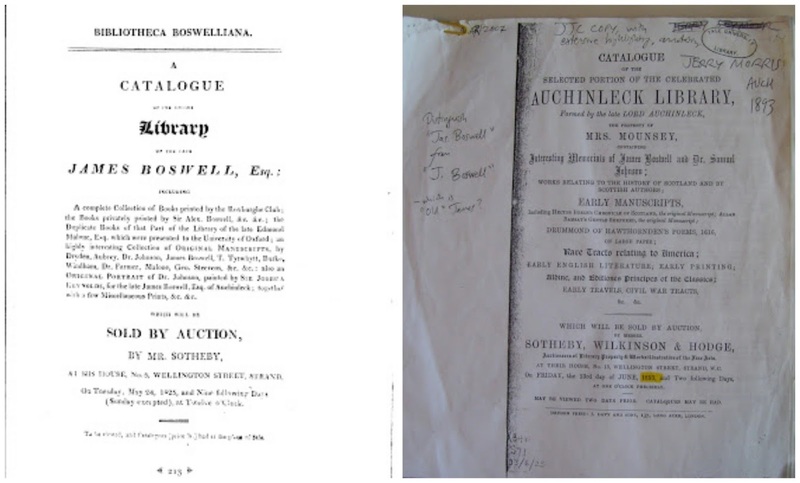 And if you click on the links above the images, you will find out more about the books, including, in some cases, provenance information. From some of the books I will post passages I think you might find interesting. 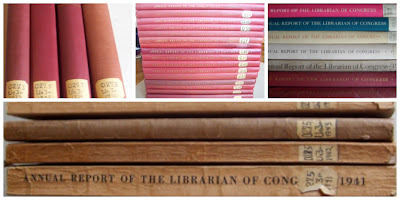 And finally, at the end of my blog post, I will provide a link to the Library Thing listings of all my books about libraries. 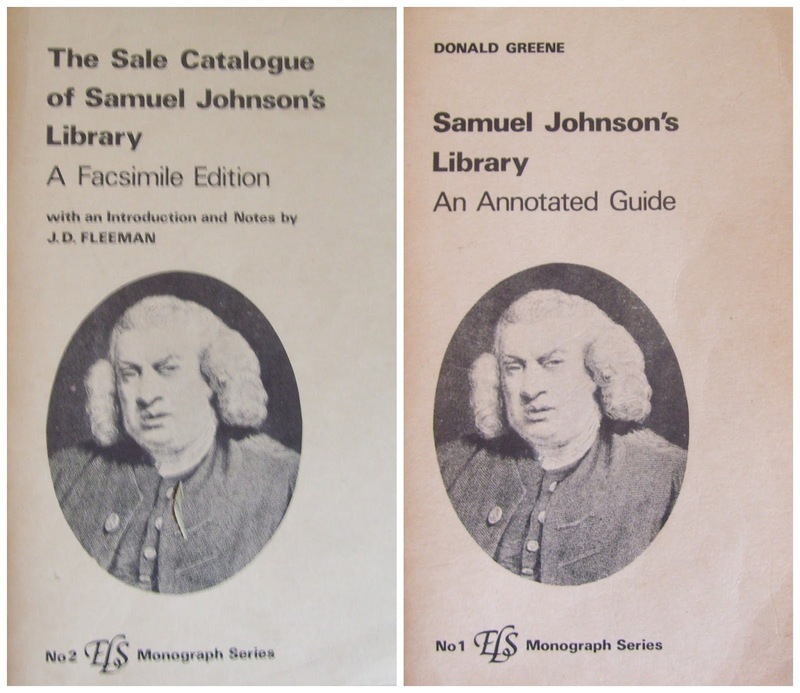 Once upon a time, in the early days of the British colonies in America, there were libraries and there were men who bought books. 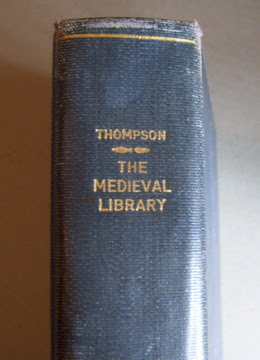 Neither in size nor in wealth could they compare with their latterday successors; yet, pioneers in a vast, bookless wilderness, they began the flow of books to American library shelves which has grown into a torrent. 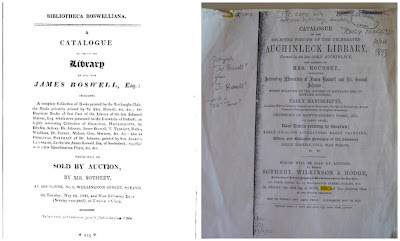 The books they bought were not 'rare books' in the accepted sense of the word today. They were texts the colonials wanted and needed; they were second-hand books which came to them through the regular channels of bookselling. That some of them have become 'rare" and hence valuable beyond their usefulness for mere reading, has been due to the passage of time and the widening of the rare book field. That some of them are association copies of unusual distinction is an accident of dispersion, for no known 18th-century American purchaser paid a premium for arms on a binding or a signature on a title-page. I doubt very much that even the best informed among them were conscious of what they owned in terms of provenance. The above quote is by the librarian, author, and bibliophile, Edwin Wolf 2nd. 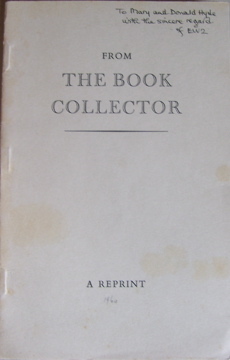 It is from an offprint of an article from the autumn 1960 issue of The Book Collector. 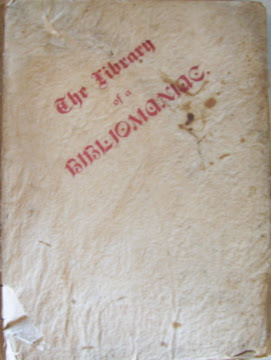 The title of his article was "Some Books of Early English Provenance in the Library Company of Philadelphia." 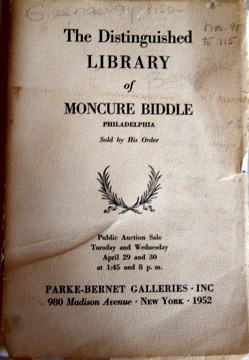 Edwin Wolf 2nd sent this very pamphlet to Donald and Mary Hyde. The coffee stains, by the way, are not mine. 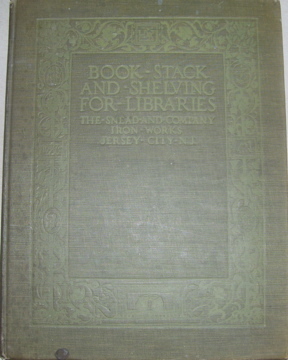 Benjamin Franklin founded the Library Company of Philadelphia in 1731. On its website, it touts itself as "America's oldest cultural institution." 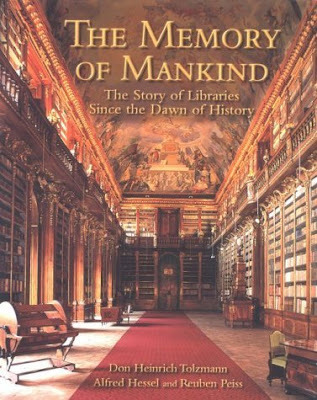 The very first sentence in the next book identifies Harvard Library, founded in 1638, as the oldest library in America. 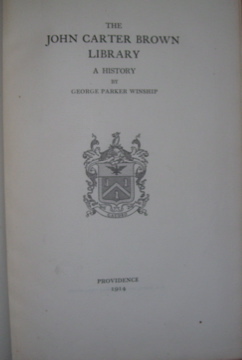 Surprisingly, in The Story of Harvard, by Arthur Stanwood Pier, Boston, 1913, the author makes no claim that the Harvard Library is the oldest library in America. 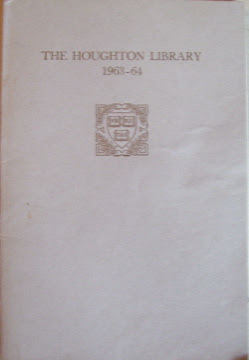 In fact, the book is rather thin on information about the Harvard Library. Another old library in America is the Redwood Library, Newport, Rhode Island, founded in 1747. In the book below, a 1764 catalogue of the Redwood Library, the library is touted as "the third proprietary library in America (Following the Library Company of Philadelphia, 1731; and the Library Company of Darby, Pennsylvania, 1743)." Still another old proprietary library is the New York Society Library, founded in 1754, which touts itself as the oldest library in New York City. 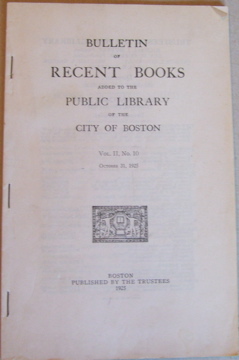 The Boston Public Library, founded in 1848, is the first municipal public library in America to lend books. Being born and bred in the suburbs of New York City, I will always have a soft spot for the New York Public Library, no matter how old or young it is. Yes. There are many different kinds of libraries. 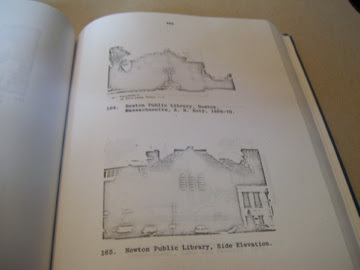 What you may not know –– I didn't –– are the names of the different library building types. 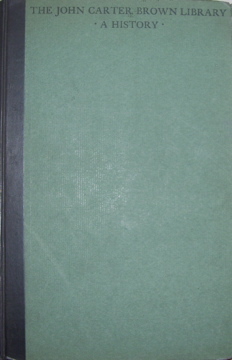 The two-volume set below is the dissertation submitted by Kenneth Alan Breisch in 1982 in partial fulfillment for his Master's Degree from the University of Michigan. 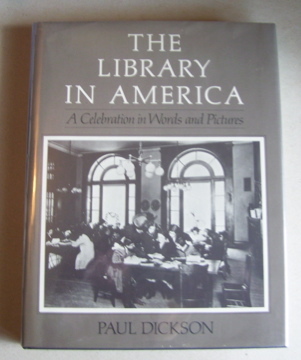 The complete title is Small Public Libraries in America 1850-1890: The Invention and Evolution of a Building Type,University of Michigan, 1982. 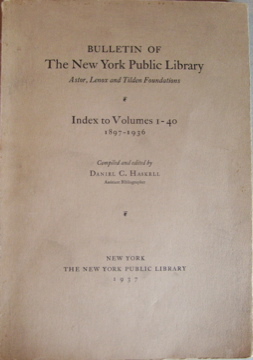 In his Preface, Breisch notes that two studies on the history of small libraries in America had previously been published. But "both studies, however, were written by librarians and neither, therefore, attempts to place individual library buildings within the general context of American architectural history." 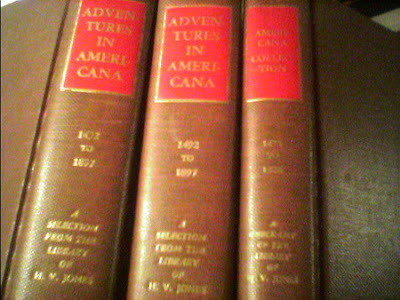 The first volume of this set provides a brief survey of European library architecture prior to 1850, a section on the American library building prior to 1860, and explanations of the different library building plans of the middle to late 1800s: the T-Plan, the Italianate Style, the Second Empire Style, the Richardson Style, the Poole Plan and several more. Both editions can be viewed online: 1908 edition; 1915 edition. The illustrations are well worth viewing. Here's an 1893 catalog from the Library Bureau from which librarians ordered library fixtures and supplies. When it comes to the construction of library buildings, one must remember Andrew Carnegie. "Up to the year 1907 Mr. Carnegie's library gifts had provided for 1636 library buildings, covering grants of $44,545,7422...(Koch,vii)." The Librarian's room occupies the middle of the eastern side of the building, opposite the entrance. In this room the traditions of the days when the collection was a gentleman's private library are preserved. All of the furnishings, except the modern letter-file and the electric-lighted chandelier, came from the library room at Mr. Brown's homestead. 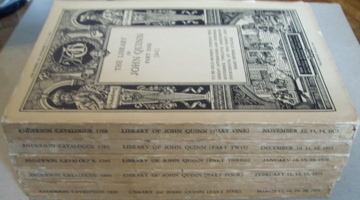 In the old mahogany cases, the original editions of the Columbus Letter and the Vespuccius tracts, the Jesuit Relations, the writings of Roger Williams, and the volumes of De Bry, each in its brilliant binding, still hold the places to which John Carter Brown assigned them. If he could revisit his collection in its new home, he would find these friends he was fondest of, where he left them. His favourite chair has the place of honour at the table on which he examined all of the purchases of the later years. The old lamp has been refitted for an electric current, but no push button has stolen its dignity from the bronze table bell. The rug and the anitmacassars are the same as in the founder's day. In the later months of 1924 the new Librarian of the John Carter Brown Library found himself in a position of discomfort. 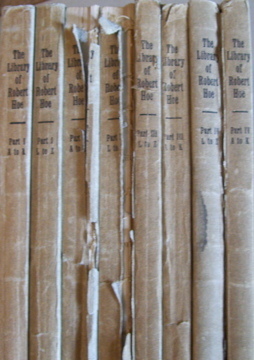 For a year or more he had been living a life of enthrallment through encounters repeated almost daily with one after another of the great books of basic American interest, books he had heard about and read about but never before had seen or held in his hands. This was happiness undiluted, but on another account he was distressed. 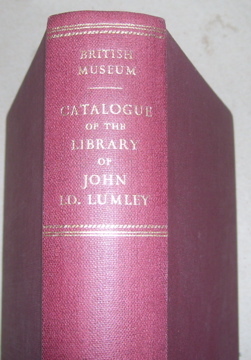 Many times he had been told flatly and emphatically by the dominant member of the Committee of Management that the John Carter Brown Library was perfect and complete as it stood, and that not a penny was ever thereafter to be spent on the purchase of a book. The point of view of our boss man did not prevail to its bitter conclusion. The sympathetic connivance of another member of the Committee had made it possible somewhat to ameliorate the full rigor of the interdict, but still it remained in force. 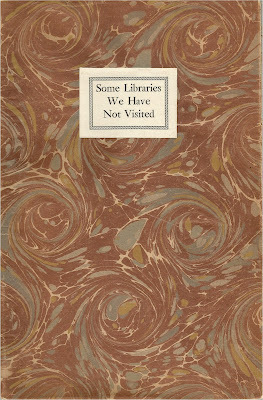 It is to state an undisputed thing in a solemn way to say that no library ever has been perfect or ever could be. The year of daily association with the great collection had increased my admiration for it at the same time that there had been revealed to me the absence from it of many single works of consequence and of an astonishing number of groups hardly recognized or at best recognized and passed by with indifference or complete forgetfulness. But happily a change of radical character in the Library's collecting policy was about to occur. There was nothing of the dramatic in the event except to me; to me it was drama in the highest sense. One day in the late months of 1924, Mr. John Nicholas Brown, then a young man of some twenty-four years engaged in graduate studies at Harvard, came into the Library to pay his first visit in my time as librarian. He displayed more than a passing interest in all our concerns, large and small, and as he was about to leave he said he would be glad to help in the purchase of books. I said that was wonderful for only that day we had been offered four Italian and French tracts, three of them unique, displaying the unfriendly attitude of continental Europe toward Francis Drake, "El Drago," the English Protestant hero. "I think we should buy them," he said. 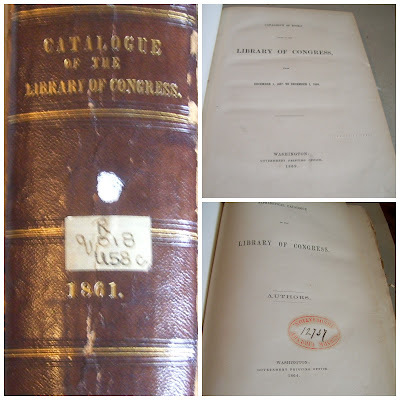 Thus began a most notable exercise in book collecting, a selfless exercise on behalf of an institution formed by the collector's grandfather, John Carter Brown, and his father, the first John Nicholas Brown, and now the possession of Brown University.... (9,10). I have three Library of Congress Catalogues: 1861, 1864, and 1869. I have over thirty years' worth of Annual Reports of the Librarian of Congress." One of these days I may write a separate blog post about my Library of Congress books. 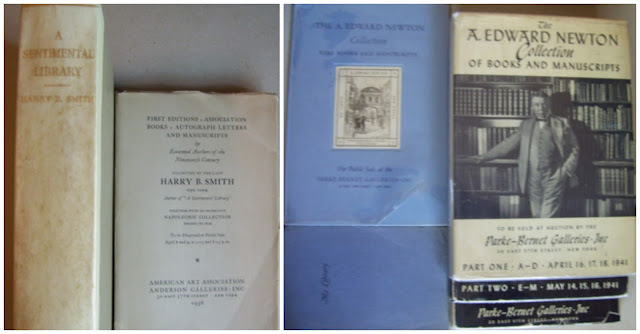 I have a number of books about the private libraries of book collectors and authors whose books I collect. 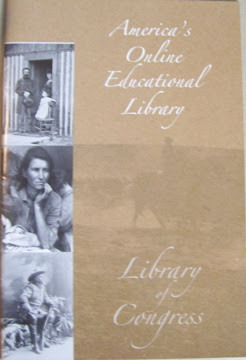 There are some of my books about libraries we have not viewed in this blog post. 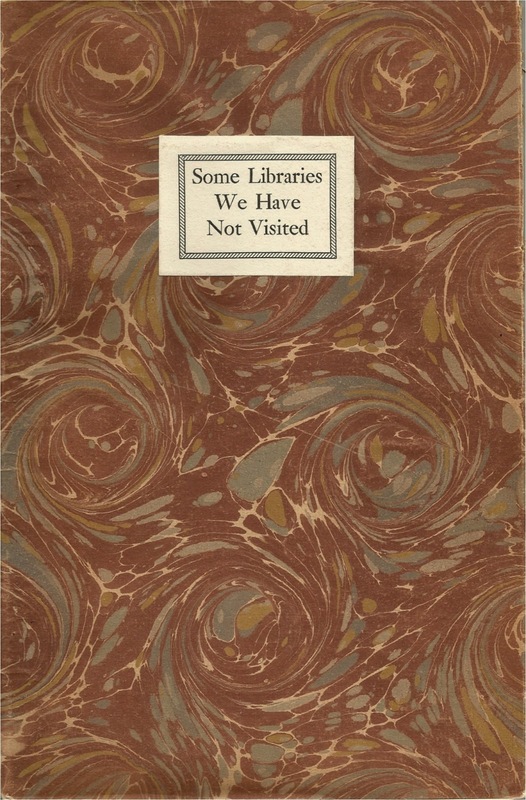 You can view them here: Some Libraries We Have Not Visited. Thank you for viewing and visiting my books about libraries. thanks for a really informative post. Alas, it has made my wish list longer.